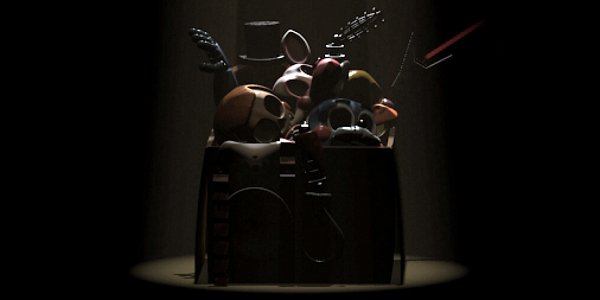 After what can only be called a very successful year in 2014, Five Nights at Freddy’s creator Scott Cawthon has announced that Part 3 is in development and will be released very soon for computers and a variety of mobile devices. According to an article at Cinema Blend, this new chapter takes place 30 years after the horrific events of Five Nights at Freddy’s 1 and 2 have resulted in Freddy Fazbear’s Pizza being shut down and demolished. But now, someone has come up with the bright idea of building a brand new theme park attraction based on Freddy Fazbear’s! 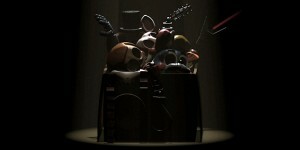 Even better, they decide to use some of the old parts from the original animatronic characters for this new dark ride. As you can imagine, things don’t go as planned… No word yet on a precise release date, but the article does feature a very creepy teaser trailer for the new game.